Fund a project or do great things with your WooCommerce store! 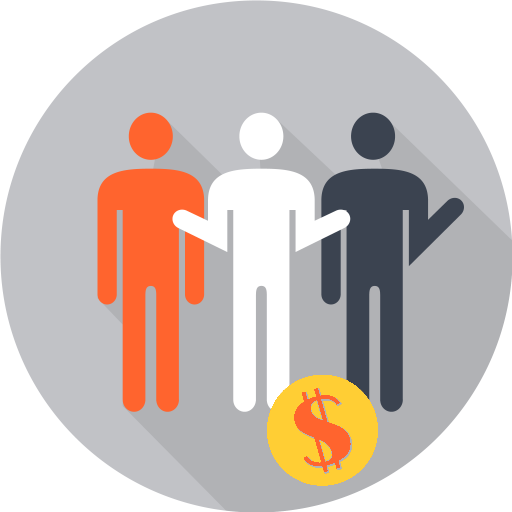 Easily and quickly add a crowdfunded product with WooCommerce Crowdfunding module. Simply enable this module in the Booster settings, set your goal, your start date, your end date, and start promoting! When enabled, module will add Crowdfunding metabox to product edit. 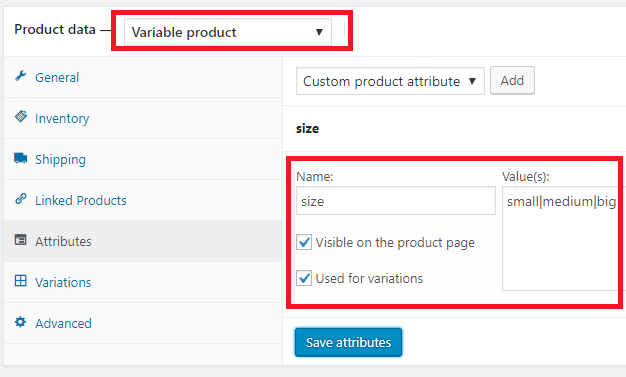 Shortcodes could be used in WooCommerce Product Info module, in WooCommerce Custom Product Tabs module, or in a product description. This will allow customers to choose how much they are willing to contribute. You can change “Add to cart” button label using WooCommerce Add to Cart Labels module. 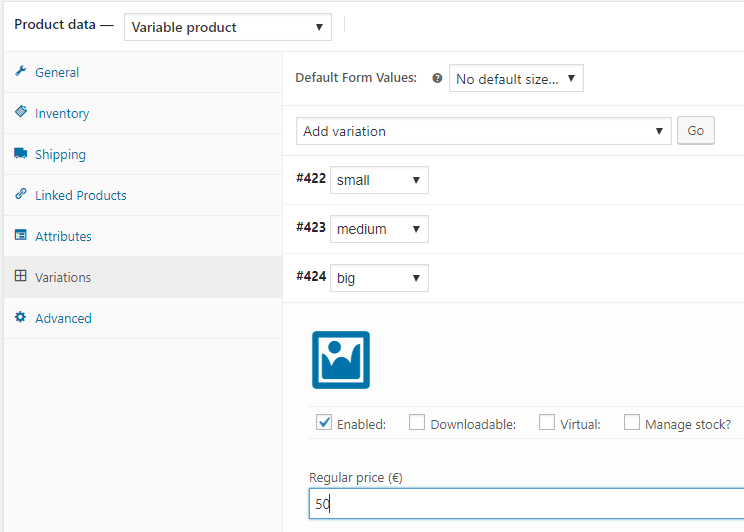 You can allow customers to choose their preferred contribution size using WooCommerce Product Open Pricing (Name Your Price) module. This feature is great but it needs status bar or oilometer to show current donation status in simple graphics. We will add your suggested feature to our to-do list. Sorry but we can not set deadline to this task, we will inform you if/when it will be available. * is it possible using this plugin to have *several* different products count towards a crowdfunding goal (so the crowdfunding levels are modeled as products)? * Can the crowdfunding status only be seen on the product page? Or can I also embed the corresponding shortcuts on e.g. the main page of the website? >* is it possible using this plugin to have *several* different products count towards a crowdfunding goal (so the crowdfunding levels are modeled as products)? Please tell us more in details what results do you expect if this feature would be developed. > Can the crowdfunding status only be seen on the product page? Or can I also embed the corresponding shortcuts on e.g. the main page of the website? Is the Crowdfunding part of this product the same as the plugin “Crowdfunding for WooCommerce”? Both are listed under Algoritmika Ltd. I got both, but would like to know which one to activate and use, and which shortcodes to use. May you please clarify how does it work for refunding thru paypal in case the crowd funding goal is not met? It`s not made any automation here. Please send us more detailed info how do you need that to be done. We will add this feature to our to-do list. Will the campaign/product be disabled automatically once the goal is reached? Please correct me if I’m wrong but s of now it seems that only the ‘end-date’ will trigger the end of the campaign. Sorry for the delay. Unfortunately no – it won’t work correctly for grouped products. I will try fix this in next update. 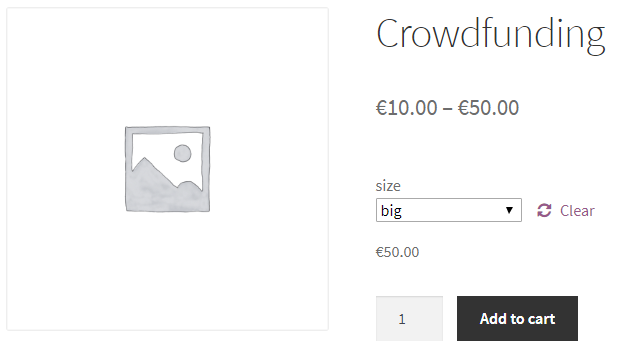 I’ve added Grouped products support to Crowdfunding module. Please download the development version here – http://booster.io/dev/. You will need to uninstall the old version first (don’t worry your saved settings won’t disappear). By the way, we have another plugin, developed especially for crowdfunding, it has a little more features – https://wordpress.org/plugins/crowdfunding-for-woocommerce/. Hi there, quick question: are available filters and hooks in order to modify or add features to the plugin? I currently use Woocommerce 3 and I tried to use a test payment to see if the plugin works. But it seems that even if the test payment was validated, the goal remaining has not increased. Is there any issue or something I have to do to make it work? Please note that only “completed” orders are counted in “goal remaining”. If order’s status is “completed”, but it’s still not counted – if possible please create/share an admin account to your server (WP and preferably FTP) so I could login and check what’s going on. My email is tom@booster.io. 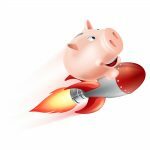 By the way – if you use Booster only for Crowdfunding – I would suggest checking our another plugin Crowdfunding for WooCommerce (and the free version is here) . It’s similar to Booster’s Crowdfunding module, but has more options. 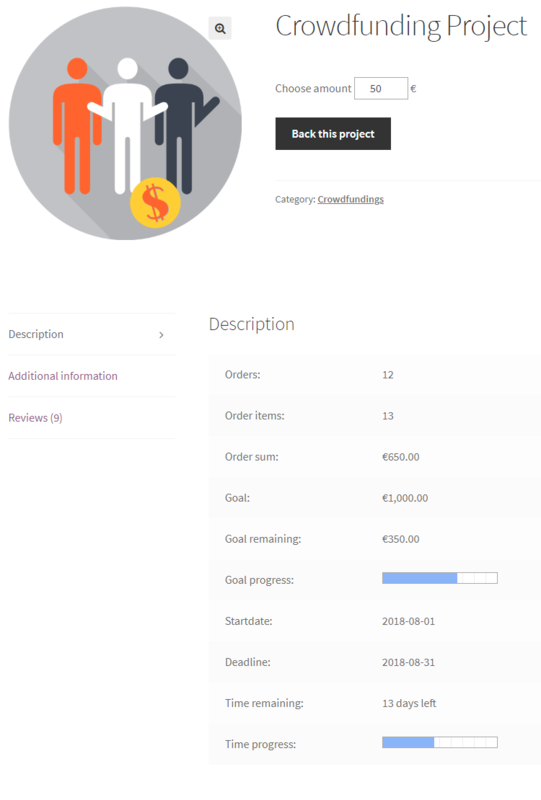 For example you can set for not only “completed” orders to be counted in “goal remaining”. Hope I made it a little more cleared and please let me know if you have any questions or need any help. Given the order needs to be complete to show in the fundraising, yet the reward will only be activated if the target is reached in an all or nothing campaign at a future date (like pre-sales – up to 2-3 months out), how would we show progress towards the target? Or is this plugin only really working on immediate transactions? havye you any idea whats wrong? Have you set the crowdfunding dealine and enabled the module? If so, could you please contact us directly at support@booster.io? Thank you. How do I edit the progress bar css?